When you begin a skin care treatment program designed specifically for you, facials are the first place to start. The Personalized Facial and Resurfacing Treatments are customized to each client’s individual needs. All treatments include a twenty-minute skin therapy session with the NSA (Natural Skin Function Accelerator) cosmetic device. NSA (Natural Skin Function Accelerator) is a cosmetic device that uses a technique similar to ultrasound. The device warms the dermal tissues (internal to external) increasing blood circulation, natural collagen and elastin production, lymphatic drainage, lifting and toning of facial muscles and delivery of products. BENEFITS: Anti-aging, Skin Rejuventating, Oxygenating and Hydrating. This is a very calming and relaxing treatment!! 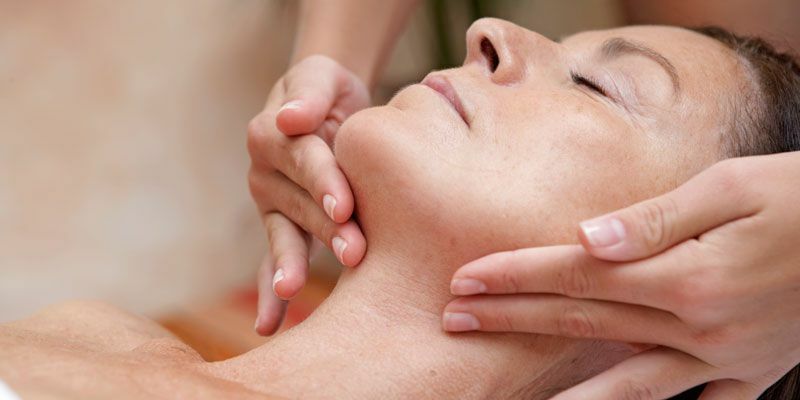 During facial treatments acupressure stimulation is applied to pressure points improving circulation to the face, neck and shoulders and will also be applied to hands and arms. Two Resurfacing Treatments per week for three weeks. NO "down-time"
Glycolic is a natural substance from sugar cane and works from under the skin upwards. Enzyme is a natural substance from papaya and pineapple that works from the surface of the skin downwards. BENEFITS: Will smooth fine lines, even skin discoloration, normalize oil secretion, tighten pores, and accelerates the skin renewal process. Waxing is one of the most popular and effective techniques used to remove hair from the face, legs, arms, back and bikini line. If you want silky smooth skin that lasts without the use of harsh chemicals or costly medical procedures then waxing is for you. Regular hand and foot care treatments maximize skin hydration and nail health. Spa manicures and spa pedicures include nail conditioning, cuticle removal, acupressure stimulation and polish application.